Gospel artists and brothers Jeral and Percy Gray launched the almost 40-voice-strong choir, New Direction, ten years ago in the heart of Chicago. 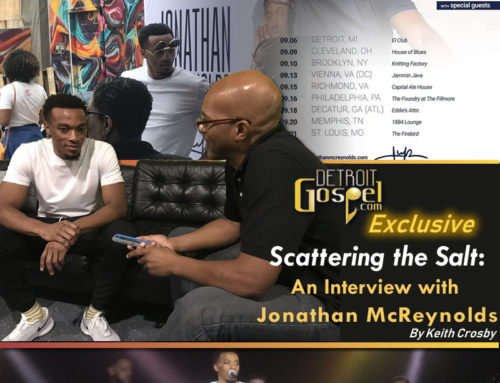 The mission of the choir, which began as a youth outreach, was to use the life changing power of the gospel through music as a means of impacting youth. This joyous and jubilant youth choir’s name reflects its purpose of illustrating God’s power to move us all in a “New Direction!” After more than 10 years since their inception, New Direction is one of the top gospel choirs around. They also have the hardware to prove it, having won “Choir of the Year” at the 2005 Stellar Awards. 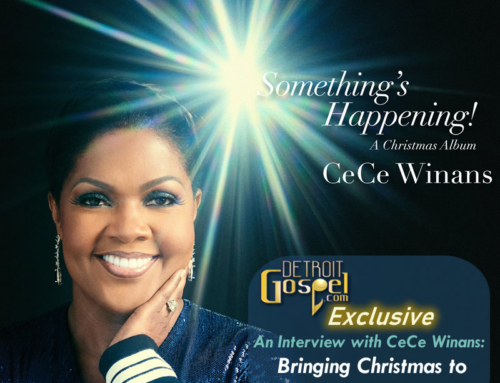 Detroit Gospel.com: What has been the key to New Direction’s success? Your choir has been around since 1994. Paul Elliot: The reason I feel that we’ve been around so long is because of our leaders. Our leaders play a big role. Jeral and Percy Gray are second to none, and it’s just a joy being around them. The love they portray to us — they make us work hard, they want us to be dedicated. It’s a business and a ministry, but when your heart is in something, and when our heart is in the choir, and just to minister to different people and seeing people’s lives changed and lives altered, it’s a blessing. And it keeps us coming back, it keeps us working harder, it keeps us more adept into our word because we want to live what we sing about. That’s the key. We must live what we sing about. Our leaders are second to none. I love them to death. That’s why I’ve been here so long. Brandon Love: I believe that it’s just a family atmosphere. Jeral and Percy Gray are brothers and their family members, wives, children, cousins — everybody is kind of related. When new people come to the choir it’s like a family atmosphere and it’s just that, a family. We love each other like family. When we have rehearsal it’s like a family reunion, and I believe that’s key because a lot of choirs come and go because they don’t have that unity. Paul: I believe in seasons. I believe in God doing things for a reason. He prepared us for this time. We’ve been nominated for Stellars, Doves, and things of that sort. It really didn’t mean anything, but we kept on working hard, kept pressing and God just opened up the flood gates of heaven and He let his mercy and grace and love rain on us this year and allowed us to win. It felt so good. We were like, “It’s been 10 years and we got a Stellar!” I really believe in seasons and God does things for a reason. It was purposed to be our time and our turn now. That was a blessing. DG.com: Who have been some of your biggest musical influences in Chicago? Brandon : Percy has been songwriting and producing for a long time. One group that comes to mind is Chicago Mass and they have a new CD out now. Chicago Mass has definitely played a role in Chicago’s gospel music and they might not get their just desserts I guess, but they definitely play a big role. Paul: With the album, it took a lot of hard work for us. We would start in the studio at 3 or 4 o’clock in the morning. Jeral would call and we have rehearsal one day, and then he’d say we have to be in the studio tomorrow. It took a lot of hard work, and we see that our hard work paid off on this album. It was just a good success. The arrangements, the writing, the producing, it was just magnificent. We have great writers even in the choir. But this album took a lot of work and dedication and it all paid off. Brandon : I think one key factor that contributed to the success was the amount of time we had to work on the project. The project previous to this one came out in 2000 so we had roughly 3 or 4 years to get it together and get it to be the best project we could possibly do. And plus Gospo Centric plays [a big part of that]. They have the music that they like and they wanted us to venture out and try to do new things and it all worked out for the best. DG.com: What can we expect from New Direction next? Paul: This next album, the material I believe is ridiculous, awesome. Just like I said Brandon has got some songs on there that are awesome, man. Brandon: I think we have to continue to raise the bar. Our name, New Direction, it personifies what it is that we do and that our goal is to always take music in that new direction. So look for something different. Don’t really expect the same thing. It’s going to be great. Paul: I think it’s a new level for us. Once we won our Stellar, it sort of raised the bar pretty high and we pretty much got to keep that standard now. It’s going to be a little unorthodox, but that’s New Direction, that’s who we are. We’re going to do something a little different every time. It’s going to be hot, man. To God be the glory for all the things that He has done for us. Got to give Him the honor and the praise because, if it had not been for Him we wouldn’t be here. If it had not been for Him blessing us with the voices, and the anointing we understand that makes the difference in our songs. It wouldn’t touch people’s lives. It would be a “tinkling brass.” We really want to touch the heart of God with our songs, our worship, even our dance. We want God to get the glory out of everything we do. DG.com: What’s the timing for the release of the next project? Brandon: We’ll be recording in Atlanta on April 23, 2005, and I think it’s scheduled for a Fall release.